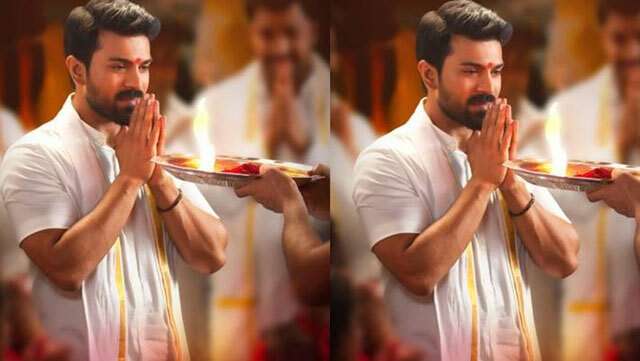 Megapowerstar Ramcharan who recently delivered a blockbuster hit with a period drama 'Rangastalam' is all set to impress the audience with an action drama 'Vinaya Vidheya Rama' under the direction of mass director Boyapati Srinu. The teaser of the film has already received a thumping response from the audience and the video hinted that the movie will have Boyapati mark action sequences. The makers have already kick started the promotions of the film which is slated to hit the screens for Sankranthi next year. On this note, they have organised a grand pre-release event of 'Vinaya Vidheya Rama'. The latest reports claim that the makers are planning to organise the pre release event in the third week of December. Rumours are rife that the event is going to be held on December 27th. Kiara Advani played the female lead in the movie. DVV Danayya under DVV Entertainments bankrolled this project. Devi Sri Prasad scored the music. A part of the movie shooting took place in a European country Azerbaijan and the expectations are high on this film.